For most Episcopal churches, Palm Sunday is the blending of two liturgies – the Liturgy of the Palms and the Liturgy of the Passion. At one time worship on Palm Sunday had been all about the joy entering Jerusalem, waving palms and proclaiming, “Blessed is the king who comes in the name of the Lord!” (Luke 19:38). The drama of Holy Week began as we entered the city on Sunday and during the holiest of weeks we washed feet and broke bread at Maundy Thursday agape meals, later to enter the church’s sanctuary to watch the altar and surrounds stripped of all its vestments. It was on Good Friday that we heard the story of Jesus’ trial, crucifixion and death. The crux of the matter was (and continues to be) that many do not return to church during the week, so move from “Hosanna!” to “Alleluia!” without experiencing the sense of loss and desolation at the foot of the cross. So we quickly move to the events of Good Friday in many of our services on Palm Sunday at the time of the Gospel reading. For the past several weeks, all of our Gospel readings have been leading up to this. The authorities are feeling threatened, the leaders in the synagogue are frightened, the Romans don’t want an uprising. In Chapter 22, Luke’s Gospel becomes a terse, face-paced narrative. The time of teaching is over. The time of action has come. Jesus has reached his destination, and his mission reaches its powerful and surprising conclusion. As readers we observe and reflect upon the events as they unfold, caught up in the drama, identifying with some of the characters, seeing the final days of Jesus’ life on earth through the eyes of Luke. In the beginning of today’s reading, Jesus teaches his disciples what it means to be a servant. As the Apostles argue over who is to be the greatest, Jesus reminds them that “I am among you as one who serves” (Luke 22:27). For Jesus, being a servant will mean suffering, betrayal, public humiliation, and death. We first hear these words in the Old Testament reading, from the Third Song of Isaiah, the suffering of God’s servant. Psalm 31 , also a cry of one who suffers, echoes the themes of Isaiah. Luke continues to follow Jesus by focusing our attention on the people who witness the ensuing events. Through the eyes of a surprising variety of people, we view the event that has had such a powerful impact on the world over the intervening centuries. Read Luke 19:28-40 from the Liturgy of the Palms. Describe what you think it would have been like to be present as one of Jesus’ followers on this occasion. What are the specific charges brought up against Jesus at his trial? How does Jesus respond? How did Jesus stir up the people of his own time? How does he continue to stir us up today? How do you explain the reluctance of both Pilate and Herod to take responsibility for the execution of Jesus? How do you account for the change of loyalty within the crowds toward Jesus? Compare Luke 22:53 with 23:44. What do these powerful images of darkness suggest to you? 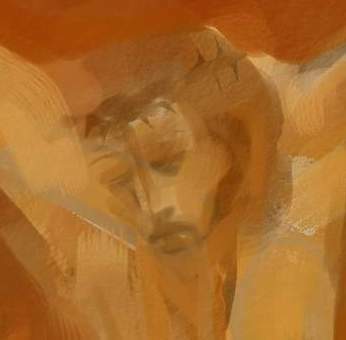 This entry was posted in Holy Week, Lent and tagged crucifixion, Good Friday, Holy Week, Jerusalem, Jesus Christ, liturgy of the palms, Luke, Maundy Thursday, Palm Sunday. Bookmark the permalink. Hi Sharon, great article, but I think you’ll find that reading the Passion and the palm ceremony have always been combined in the service on the Sunday before Easter. In fact, a lot of scholars think the palm ceremonies came after the tradition of reading the Passion. The 1928 BCP and its predecessors had us reading Matthew’s Passion on Palm Sunday and John’s on Good Friday. The Roman Missal had the same. Our current prayer book has us reading one of the synoptic gospels’ passion accounts depending on the year and then John’s on Good Friday. I think the confusion arises because there did used to be a separate Sunday called “Passion Sunday,” but we didn’t read the Passion then. It just kicked off the last two weeks of Lent called Passiontide. Palm Sunday has since ancient times been about the contrast between Jesus’s triumphal entry and then our subsequent rejection of him in the Passion and Crucifixion. The two were never supposed to be separated! Thanks, Dustin! Yes, I grew up with the 1928 BCP and I don’t remember the Passion reading at the time – just the parade part! Neil Alexander gives a great explanation in “Celebrating Liturgical Time: Days, Weeks, Seasons” that suggests we should also be focusing on that liminal period in the liturgy when we move from triumph to passion. Thanks for your insights!